A wonderful community nestled in beautiful Punta Gorda Isles, surrounded by a network of canals leading to Charlotte Harbor. The owners of our 70 two and three bedroom units come from across America to enjoy the weather, sailing, and fishing that abounds in southwest Florida. Our community has nearly 1,500 feet of seawall, providing ample space for resident boaters. In addition, our heated in-ground pool with pool house provides a relaxing area for swimming, sunning, or just “doing nothing” in the warm Florida climate. For the more energetic, a few games of tennis are just steps away at our recently refinished tennis court. A private golf course is located minutes away; public courses are just a 10 minute drive. Centrally located 40 minutes north of Southwest Florida International Airport, we are far enough from the crowds yet near the Gulf Coast islands, many exceptional restaurants, shopping, and community services. Our community of 70 owners extends a warm Florida welcome to you and hope you find this website friendly and informative. Please enjoy our website. Additional questions, please contact us. 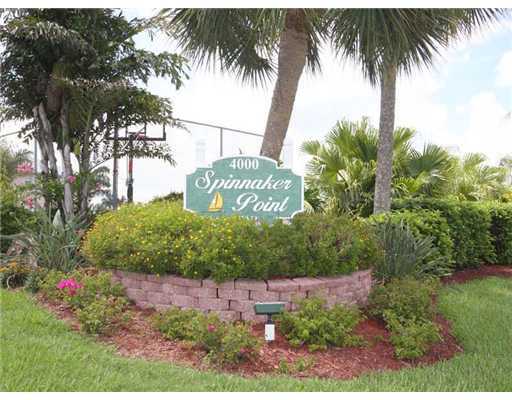 Our EMAIL ADDRESS is spinnaker4000@gmail.com.